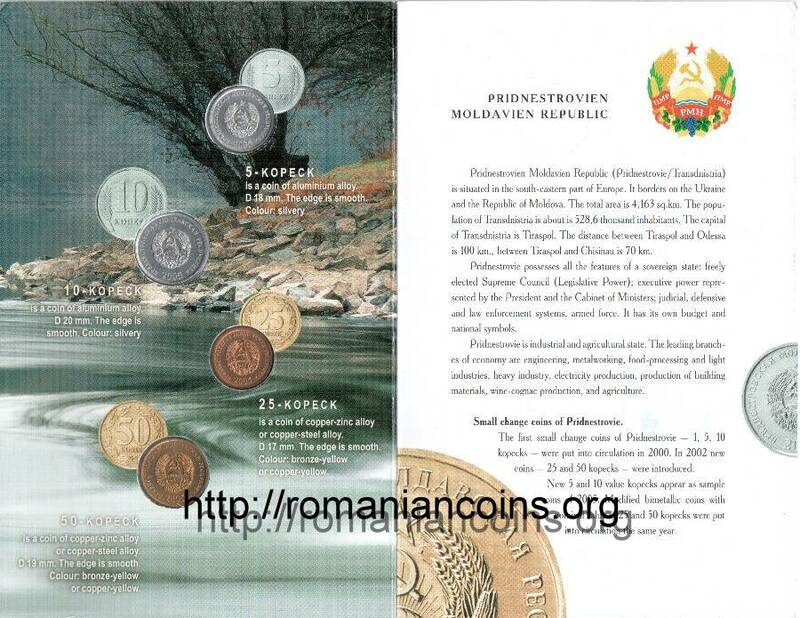 The set comprises the circulation coins of 5, 10, 25 and 50 kopecks from year 2005. The text accompanying the coins contains also errors. So, it is shown that in 2002 the pieces of 25 and 50 kopecks were first introduced. 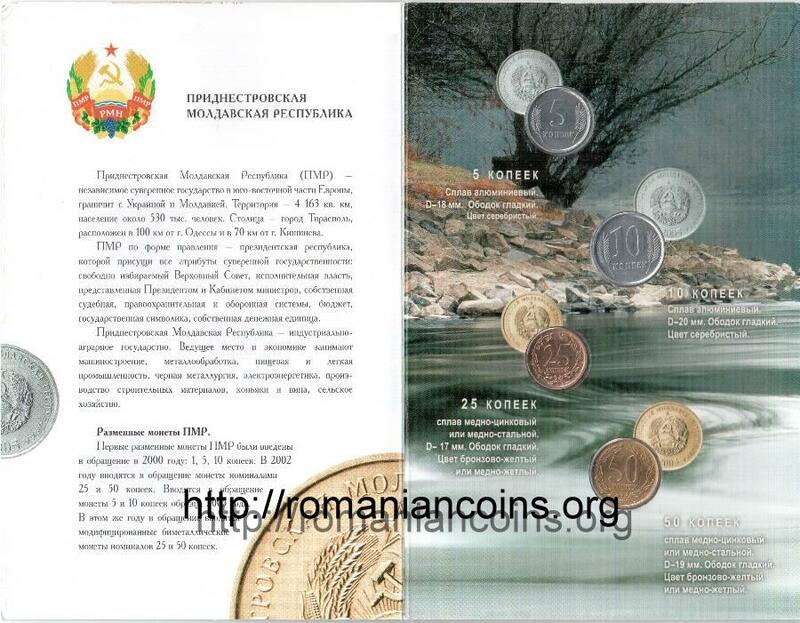 In reality, the 50 kopecks coin has appeared in 2000, not in 2002. Pieces of 25 and 50 kopecks are declared bimetalic, whereas they are made out of copper and zinc alloy (pieces from 2000 and 2002) or out of copper and steel alloy (pieces from 2005). The two alloys are mentioned together, but the set comprises the coins from 2005 only. It can also be mentioned the fancy English translation of the self proclaimed republic: "Pridnistrovien Moldavien Republic"! The set hit the market in 2011. Knowing one might rightfully be wondering what is Transnistria about, we tried to depict on the site the issue as best as we could. Click the links below to clarify yourself.